There was a heightened level of energy at our breakfast meeting this week as we renewed acquaintances with returning members who have been away for the winter. We also had the pleasure of inducting three energetic ladies as new Club members. Kayla Caruana is a Certified Financial Planner, with IG Wealth Management. She has been an active participant in our meetings for several weeks as a greeter and enthusiastic ‘Sheriff’. Kathryn Battrum is a Notary Public in Lake Country and provides legal services from an office on Main Street. She is an avid dog-lover and has helped establish and upgrade the off-leash park on Woodsdale Road. Kathryn also volunteers at an animal shelter in Vernon. Shauna Murdain is a Learning Assistance Teacher at Pearson Road Elementary School in Kelowna. The focus of her job is providing support to children with learning disabilities. She is also keen to contribute time and effort to our club’s activities. Thanks again to Monika, Bernard and Ken for their leadership over the past three months in keeping the Club running smoothly while I was away. I also want to recognize Jim Robertson for accepting the responsibility of managing our Bursary Program this year for George Elliot High School graduates. Jim and Judy Guido together evaluated a record number of Bursary applications (13), using a grid scoring system and were able to select the top eight candidates to fit with the funding we have available. 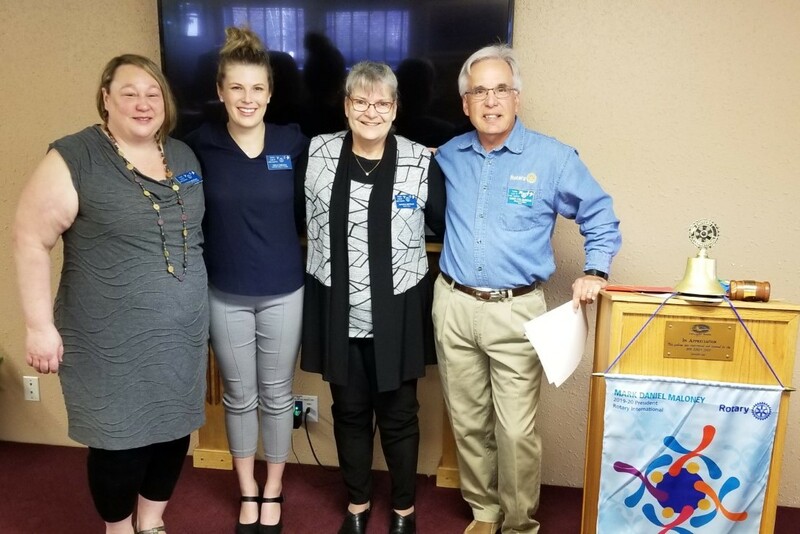 Our Club has is now a member of the new Lake Country Chamber of Commerce Breakfast Club, which meets on alternate Wednesdays, at L’Isola Bella Restaurant. By attending these meetings, we will be able to promote the work that Rotary does in the community and strengthen our relationship with local businesses to attract new members. Our Club and the Lake Country Food Bank will be jointly hosting a Business After Hours Event, through the Chamber of Commerce, at the Lake Country Food Bank, on Wednesday July 24, 2019. This event will enable both groups to showcase a signature Rotary project which benefits vulnerable people in our community. Due to low ticket sales, the Ladies Movie Night showing of Grease on April 13th had to be cancelled. Full refunds are being issued by Kelowna Tickets to ticket purchasers. 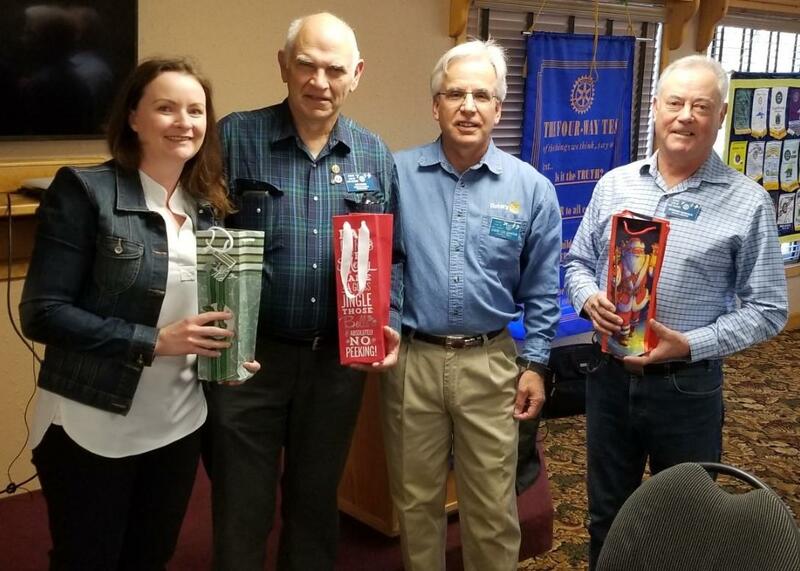 A new speaker’s schedule has been posted on our website, at www.lakecountryrotary.ca Our next speaker on April 11 will be Liz Talbott, from ‘Now Canada”.